In this world, adventure isn't just for the weekends. 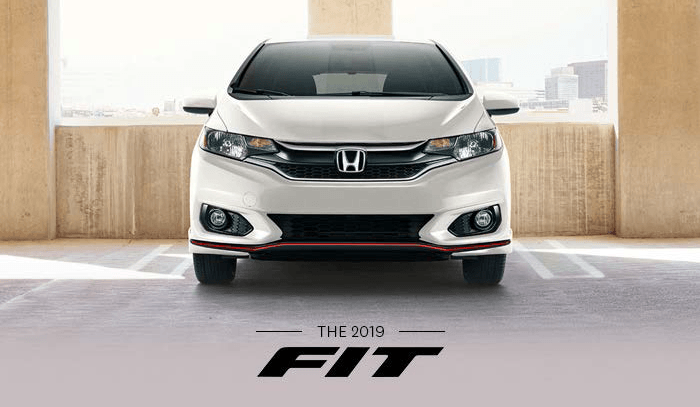 It's always around the corner and with the 2019 Honda Fit is just around the corner, there's never been a time to experience the Fit's unmatched versatility and fun-to-drive attitude. 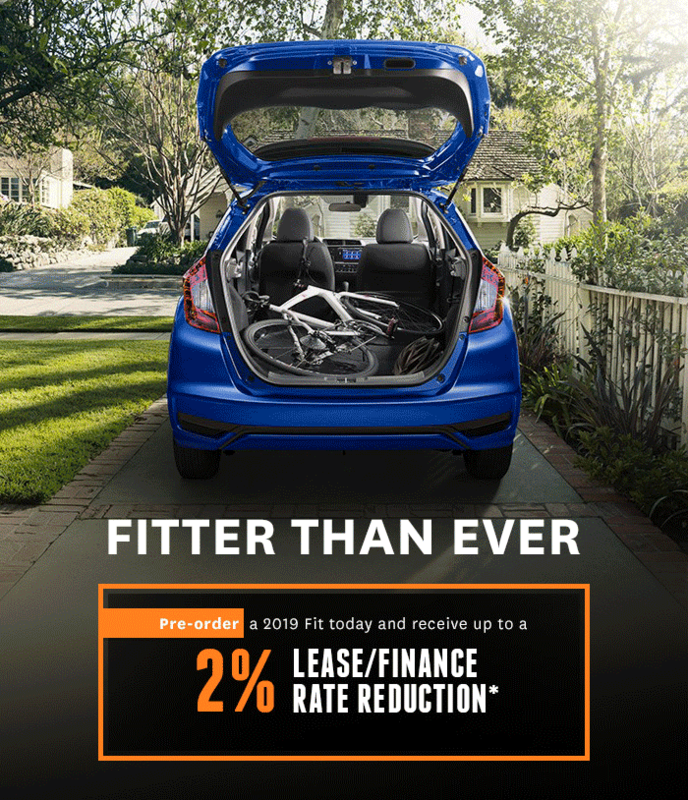 *Up to a 2% Rate Reduction is available to eligible Honda Financial Services (HFS) customers on any new and previously unregistered 2019 Honda Fit vehicle leased or financed through HFS, on approved credit. Vehicle must be pre-ordered by Dec 31st, 2018 and delivered by December 31, 2019. Up to 2% Rate Reduction: (i) will apply only to current rates advertised by HFS in Canada; can be combined with other existing loyalty offers, unless otherwise indicated; and (iii) cannot reduce lease rate below 0.01% and finance rate below 0%. Offer is subject to change or cancellation without notice. Valid in Canada only at participating Honda dealers. Visit the Ottawa Honda dealer for details.